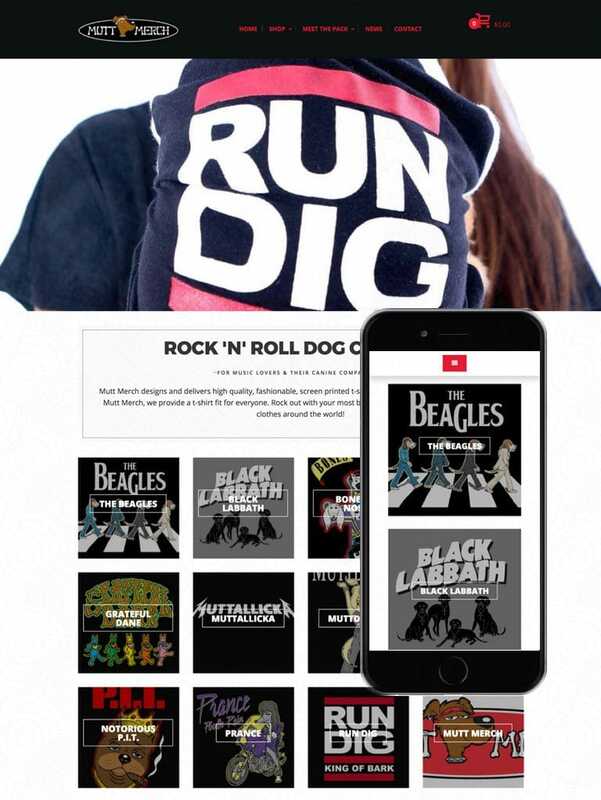 Mutt Merch approached Consonant Marketing with the need to sell their rock ‘n’ roll themed dog clothes online. We recommended a WooCommerce based e-commerce solution combined with Facebook PPC ads. After launching the website, we targeted fans of specific bands who were also dog owners. This combination of social media advertising and e-commerce brought Mutt Merch instant sales.